The WTUA gravel is the latest bike model from Italian custom frame-builder Legor Cicli — featuring 650b tires on a steel frame, this all-road bike is a beautiful and exclusive. 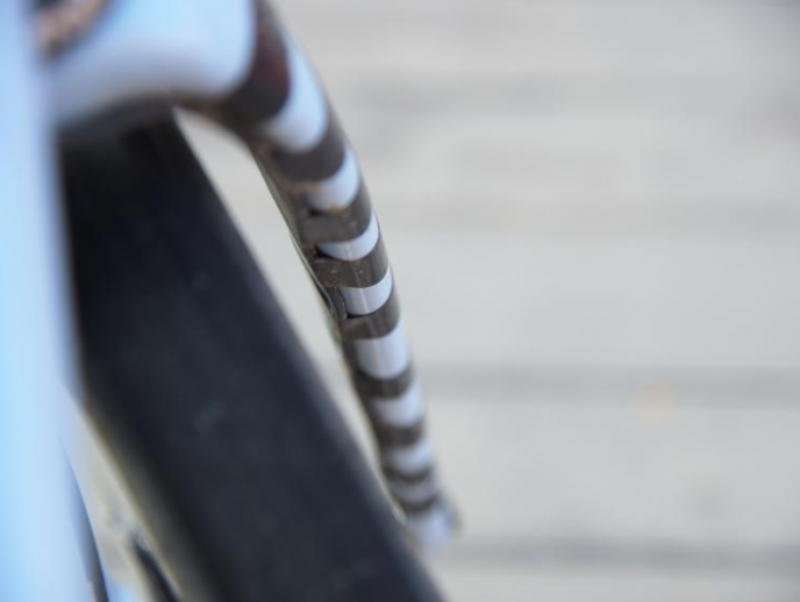 The work of an Italian frame=builder living in Barcelona, the WTUA gravel is Legor Cicli’s newest model. Built using Columbus Spirit tubing with a ton of straight lines and clean welds, this bike has some great details and sports some wheels that are in-line with the hottest trend in gravel and adventure biking in 2017. 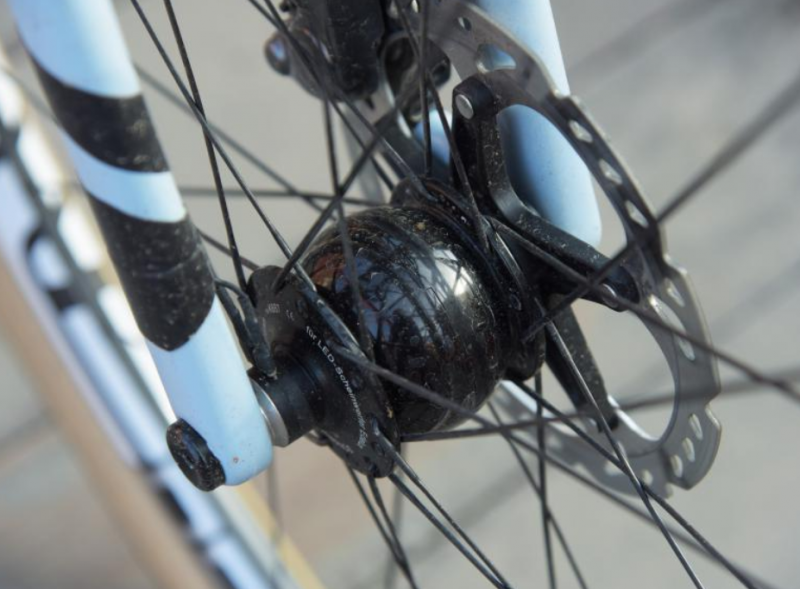 Featuring a T47 bottom bracket (BB), externally routed cables, and oversized tube diameters, the stiffness of the carbon wheels and thru-axles are excellent for road and off-road biking. 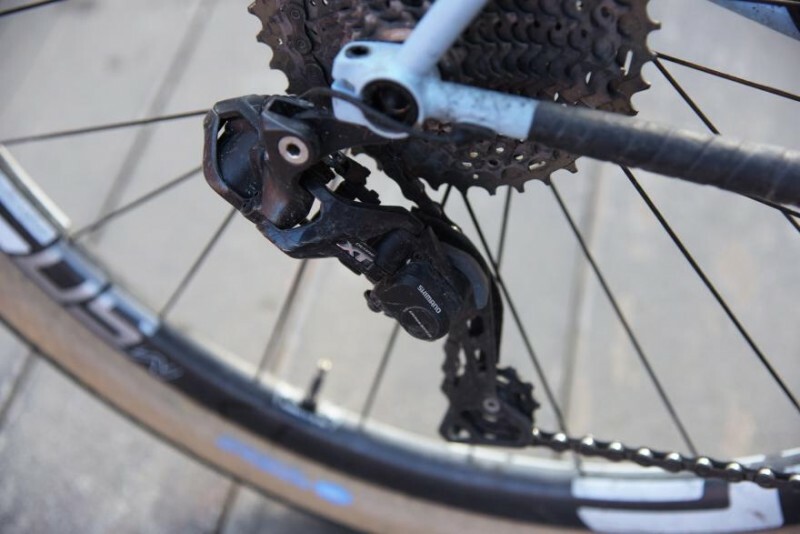 Legor Cicli used a 28.6mm seat tube because it offers more flex, which aids in grip and handling. 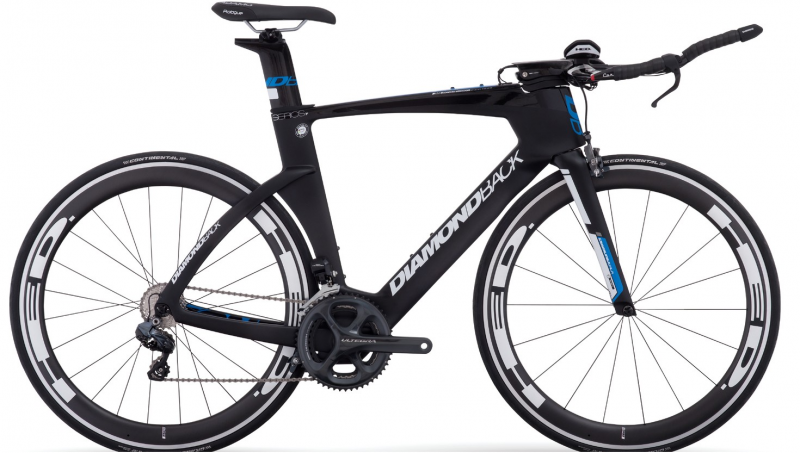 On the back sits a thru-axle and the disc brake is actually mounted on top of the seat stay. The main feature of this steel bike is that it is designed around 650b wheels, which is the hottest trend in gravel biking this year. The clearance offers ample room for tires up to 2.2 inches thick. It’s fitted with Compass Switchback Hill 650b x 48mm tires. 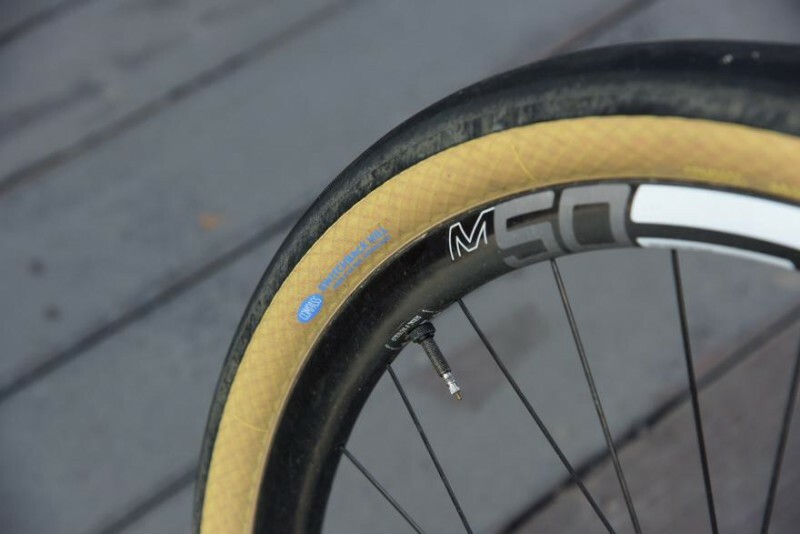 These tires are quick on the roads and grip well on gravel. They’re also comfortable to ride. 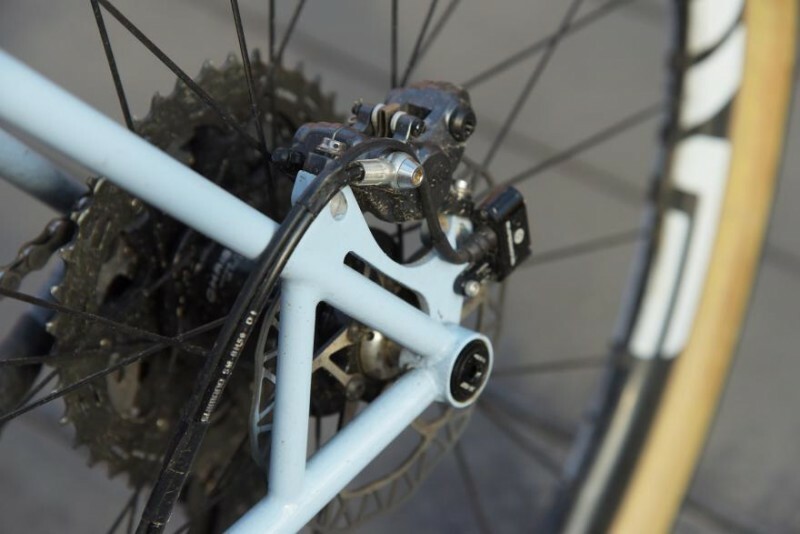 The Enve carbon fork slots into the head tube and the dynamo front hub powers the front and rear lights — the cable connects the lights to the hub which is taped to the fork blade. The brand even managed to make a feature out of the electrical tape securing the cable in place. 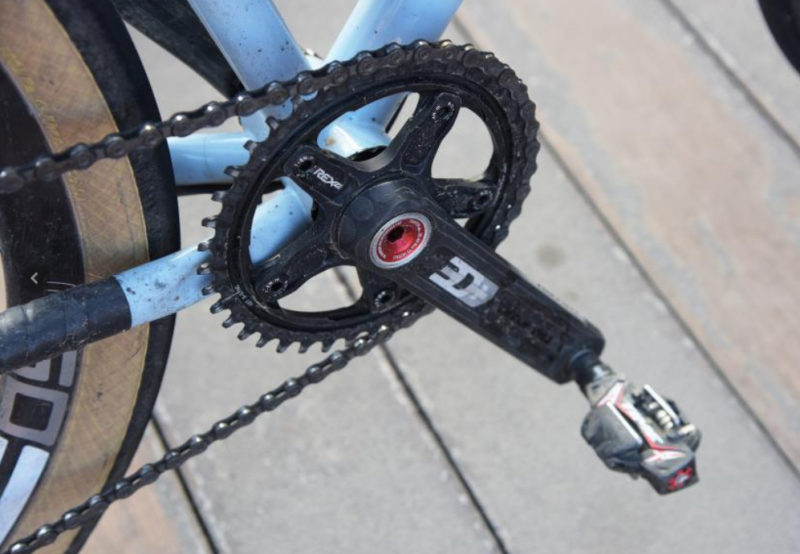 A Rotor single ring chainset pairs with a Shimano XT Di2 mountain bike rear derailleur and brake levers and road bar shifters, using XTR post mount disc brakes. The wheels of this model are also very mountain bike in style. The Enve M50 carbon hoops and Enve handlebar, stem, and seatpost are all great features. A San Marco saddle completes this interesting build.